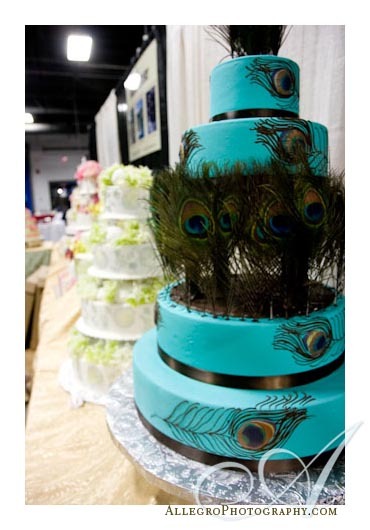 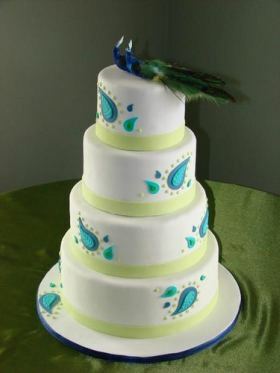 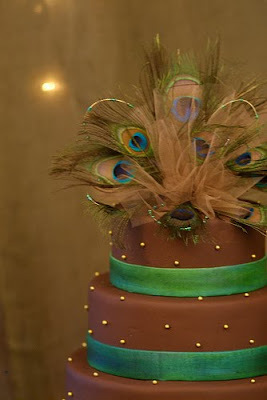 Wedding Cake With Peacock Accecories. 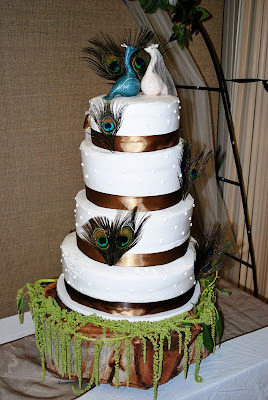 Square-shaped wedding cake and decorated with red feathers, red on the basis of plumage already look pretty and beautiful, now it becomes red fur accessories utuk wedding cake, can you imagine..? how beautiful the wedding cake. 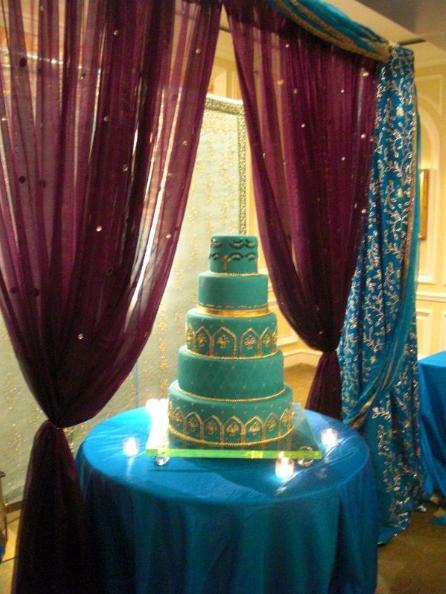 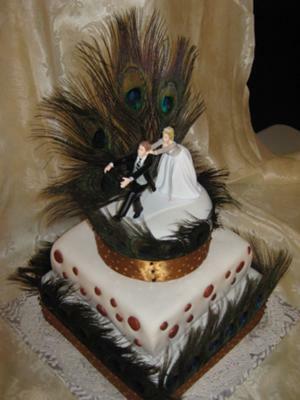 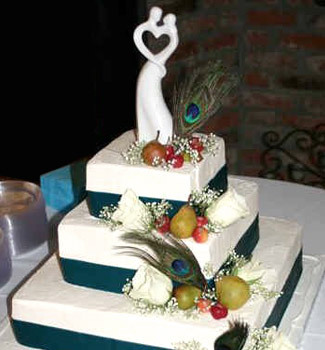 If you seek to know would make a beautiful wedding cake, the cakes can be a reference to the ideas of your wedding cake.